Staten Island, NY, April 22, 2014, Paul Jaszy, President and Chief Executive Officer of Jaszy Rolls Royce Limousines, has been recognized by Elite American Business Owners for dedication, achievements and leadership in transportation services.With a passion for antique cars, Mr. Jaszy started Jaszy Rolls Royce Limousines as a side business he would do on weekends. His business has grown over the past 14 years and garnered a stellar reputation for its services. The company is now the No. 1 antique limousine service on the East Coast. Jaszy Rolls Royce Limousines is made up of cars that are not only lavishly finished, but are very reliable, and his drivers are well-trained and experts for all special occasions. Mr. Jaszy restored and built the fleet of antique Rolls Royces, and is proud to have his cars featured in many TV shows and advertisements. 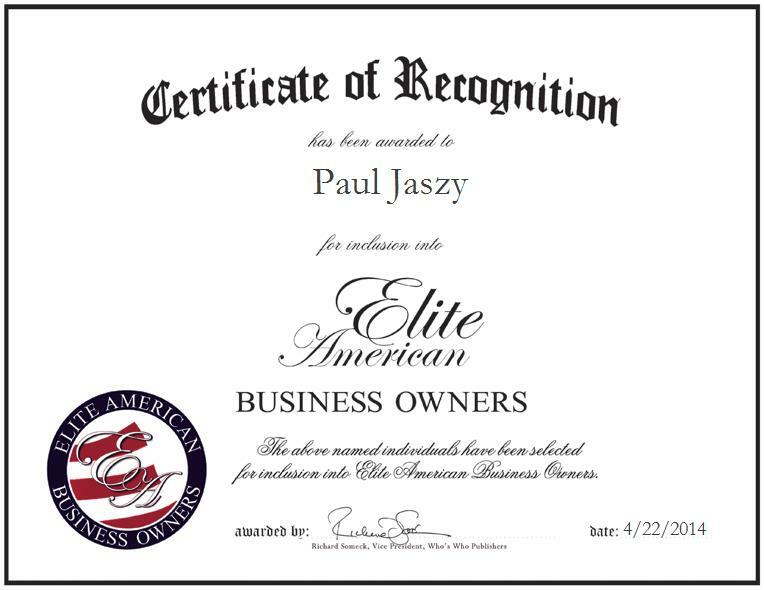 Mr. Jaszy excels at building strong customer relationships and is dedicated to making them happy. In his role, he is responsible for checking e-mails, taking care of purchasing, budgets, calls for jobs and scheduling, working on logistics for out-of-state jobs, overseeing four full-time drivers, performing antique car restoration, and checking on restoration work. Mr. Jaszy attributes his success to having cars that no one else has.